We are going to fund raise money to help support two horses through their transition to a new life here at Heavenly Horse Haven. They are going to arrive on April 26th the actual Help A Horse day. Includes links to our GoFundMe page and video. 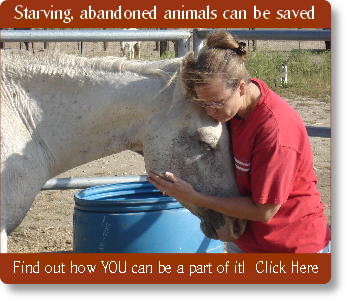 Summary of activities related to targeted training for rescue horses funded by the ASPCA. 2016 annual year in review video. Heavenly Horse Havens Annual Chili Cook-off and presentation of adoptable horses is going to be on Saturday October 22nd starting at noon. It's that time of year already! Time to get ready for our 7th annual Chili Cook Off! This year it's a ride through Ever After! Come and enjoy our presentation of adoptable animals during this year's Fairy Tale themed show. Come be a part our our animals' Happily Ever After! Gates open at 12PM on June 14th. Anza, CA—Heavenly Horse Haven (HHH) today announced the success of the project funded by the ASPCA® (American Society for the Prevention of Cruelty to Animals®). HHH was granted $3,500.00 to train horses rescued from crisis situations and increase their chances for adoption.